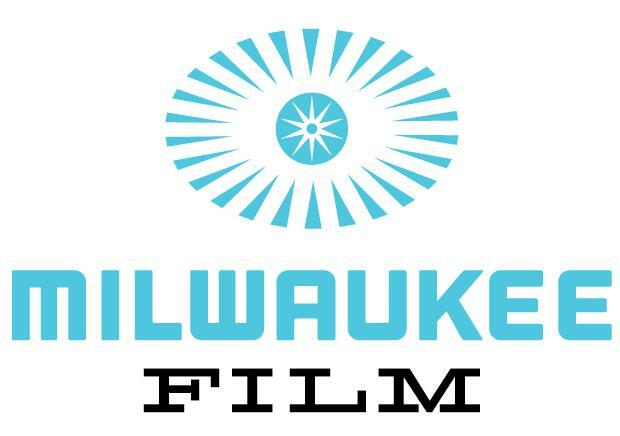 MILWAUKEE – Thursday, August 24, 2017 – The 2017 Milwaukee Film Festival, presented by Associated Bank, is excited to announce the full lineup for Spotlight Presentations, including the multiple award-winning Opening Night film STUMPED, directed by MFF alum Robin Berghaus, and Closing Night film Landline, directed by Gillian Robespierre (Obvious Child) and starring Jenny Slate and Jay Duplass. 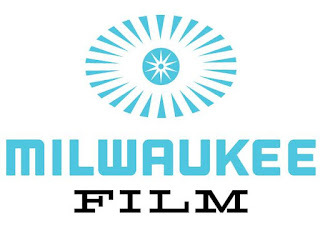 Milwaukee was first introduced to STUMPED director Robin Berghaus when her short film of the same name screened at the 2014 Milwaukee Film Festival. Following the rehabilitation of quadrilateral amputee, Will Lautzenheiser, as he coped with his trauma through stand-up comedy, Berghaus expanded the film into a feature when Lautzenheiser took a chance on a risky double arm transplant surgery. A documentary both funny and deeply moving, STUMPED tells the story of a truly indomitable spirit. Both Berghaus and Lautzenheiser are scheduled to attend the screening. Celebrating the art of cocktails and a U.S Premiere, the documentary Schumann’s Bar Talks has world-renowned bartender, Charles Schumann, taking audiences on a tour of some of the world’s finest bars. Immediately following the premiere on September 30th, there will be an event, The Craft of the Cocktail, featuring creative concoctions by Bryant’s Cocktail Lounge, Goodkind Bay View, Dock 18, and Boone & Crockett. Spotlight Presentations is presented by Donald and Donna Baumgartner. The program is sponsored by 88Nine Radio Milwaukee and OnMilwaukee. It's 1995 in Manhattan, and the Jacobs sisters are struggling to get along. Older sister Dana (the ever-effervescent Jenny Slate) is acting out in response to her recent engagement to the stable, straight-laced Ben (Jay Duplass) while younger sister Ali (fantastic newcomer Abby Quinn) is living a life of drugs, parties, and promiscuity despite still being in high school. But when the sisters discover evidence of their father's (John Turturro) infidelities, it brings them closer as they attempt to expose him without alerting their tightly wound mother (Edie Falco) in this warmly ingratiating portrait of family dysfunction from the creative team behind Obvious Child. Cannily observed '90s nostalgia intermingles with a wittily acerbic screenplay to bring back to life an era when families couldn't hide their animus behind the glow of a cell phone screen, a celebration of life and family in all its imperfection, and the ways in which our endless mistakes only serve to bring us closer together. Think Kasparov vs. Deep Blue on steroids and you've got the story behind the engrossing documentary AlphaGo. The game: Go, an ancient board game played the world over, with nearly infinite complexity. The players: Lee Sedol, a South Korean Go player widely considered the world's best, facing the titular AlphaGo, an artificial intelligence developed by Google's DeepMind whose modus operandi is to play the game beyond human capacity. What follows is a gripping battle of man vs. machine, a cerebral competition unlike any in human history! Acclaimed documentarian Errol Morris (The Thin Blue Line) turns his camera on lifelong friend and photographer Elsa Dorfman in this entertaining and profound portrait of a portraitist. From her start in literary circles, where she photographed cultural titans of the day to her eventual discovery of her preferred format—large-scale 20-by-24-inch Polaroids of her subjects, always taking two, allowing them to choose so she could keep the titular B-sides—Morris warmly illuminates Dorfman's analog process for our digital world. I, Daniel Blake, the 2016 Palme d'Or winner from director Ken Loach (The Angels' Share, MFF2013) is a work of startling empathy and relevancy about the working class coming together as a community. It's the story of one man's struggle for dignity as he navigates byzantine British bureaucracy in an attempt to maintain welfare benefits as he recovers from a heart attack. As this old dog attempts to learn new tricks to get by (using computers and smartphones), he befriends a single mother and her two children on this gripping journey toward compassion. Alloy Orchestra returns to the historic Oriental Theatre, and this time things are going to get prehistoric! This silent adaptation of Sir Arthur Conan Doyle's classic tale of a ragtag crew in search of a dinosaur-filled land untouched by time is a rip-roaring adventure that's fun for the whole family. Combine Willis O'Brien's pioneering stop-motion effects (eight years before his work on King Kong!) with the vibrant electric accompaniment only Alloy Orchestra can provide and you have the recipe for an unforgettable night at the movies. U.S. premiere! Charles Schumann is a bartender par excellence—known the world over for his iconic Munich-based Schumann's Bar— and best-selling author of a cocktail guide the New York Times called "the drink-mixer's bible." Here Schumann is your tour guide through some of the finest bars the world has to offer, traveling from New York to Tokyo with numerous stops in between to explore the fascinating history and rich culture behind these monuments to social imbibing, a pursuit all Milwaukeeans agree is in need of extensive documentary study. The Milwaukee Film Festival's annual screening/dance party/best concert film ever made/unforgettable filmgoing experience returns for yet another year! The late, great Jonathan Demme combined forces with David Byrne and the Talking Heads to make cinematic history, the rare concert picture that makes you feel like you're in attendance, experiencing the performance for the first time. From the stripped down "Psycho Killer" opener all the way to its joyous "Crosseyed and Painless" finale, Stop Making Sense is certain to burn down THE house yet again.